That entire final drive was nothing but bad calls on GB, one int taking away by a phantom roughing the passer call. Horrible Pass interference on a 1 and 37. 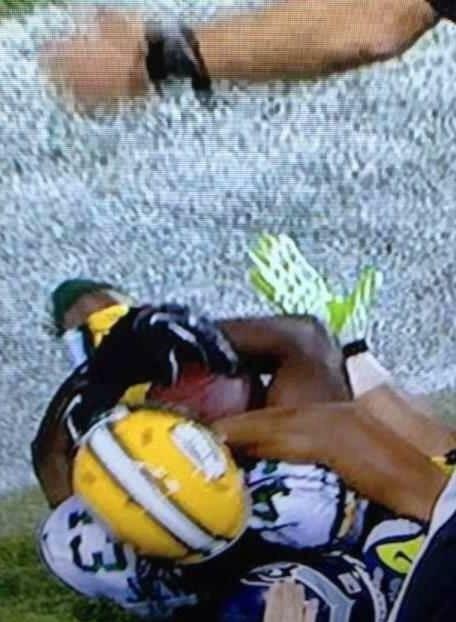 It was actually offensive pass interference. Then on the final play, block in the back not called against Seattle, Offensive PI not called on Tate, the Seahawk who caught *The Pass* and of course The Int being called a TD. Roger Goodell should resign for not overturning the game. I am stunned. Definitive Proof, if only the league would admit they screwed up, but they won't. Still pisses me off.